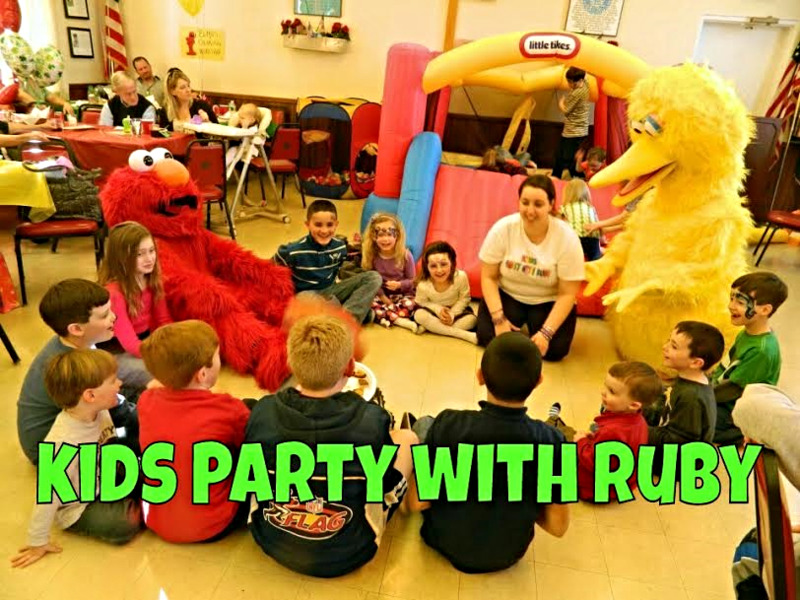 "KIDS - PARTY WITH RUBY" is pleased to announce our GREAT PRICES! We are proud to offer the highest quality children's party entertainment in New York. Our company offers various fictional characters from various movies and other children's programming. Our company brings your party to life and makes your child's birthday or family event memorable for years to come. Pick any one (or all ten) of our characters and invite them to your party AND SURPRISE EVERYONE! Make your child's dream of meeting a life-size character a reality - AT YOUR PARTY!!! We take over 100 photos at your party woth a NIKON camera at NO CHARGE and send them to you via email. Special pricing is also available for BLOCK PARTY'S, STREET FAIRS, FESTIVALS, FUNDRAISERS, SCHOOL EVENTS, PARK PARTY'S, BBQ'S, STORE ATTRACTIONS and more. To schedule entertainment, please call Ruby @ 646-683-1881 . For additional information, you may also view our facebook business webpage and "like" it to receive updates.